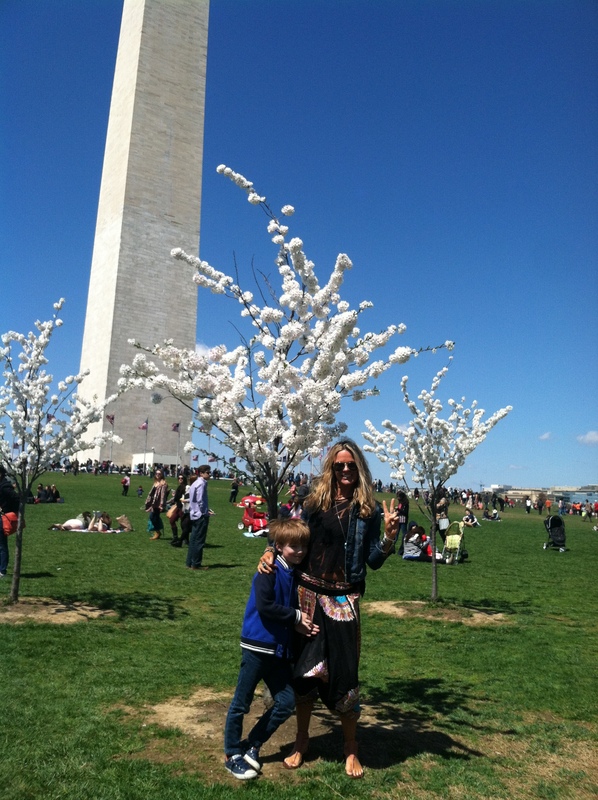 In three years this is the first time we’ve headed down to DC for the Cherry Blossom Festival, which is a big thing. As we were walking from the Mall, past the Capitol, we heard a whole bunch of sirens and a load of police. Only later did we find out that a guy had committed suicide by shooting himself in broad daylight on the Capitol steps. It’s an odd thing about being in the USA, this potential close proximity to guns. No more to say about that. Just that. 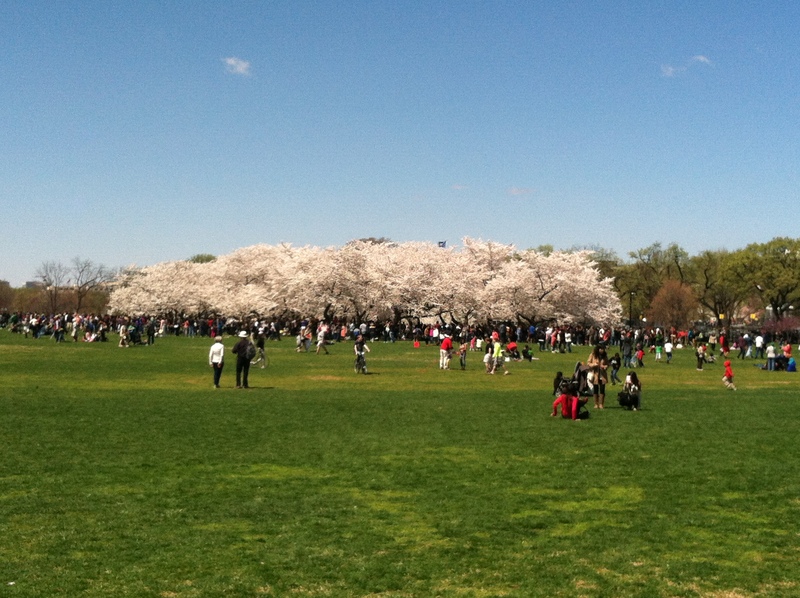 Thank goodness for the beauty of the cherry blossoms. 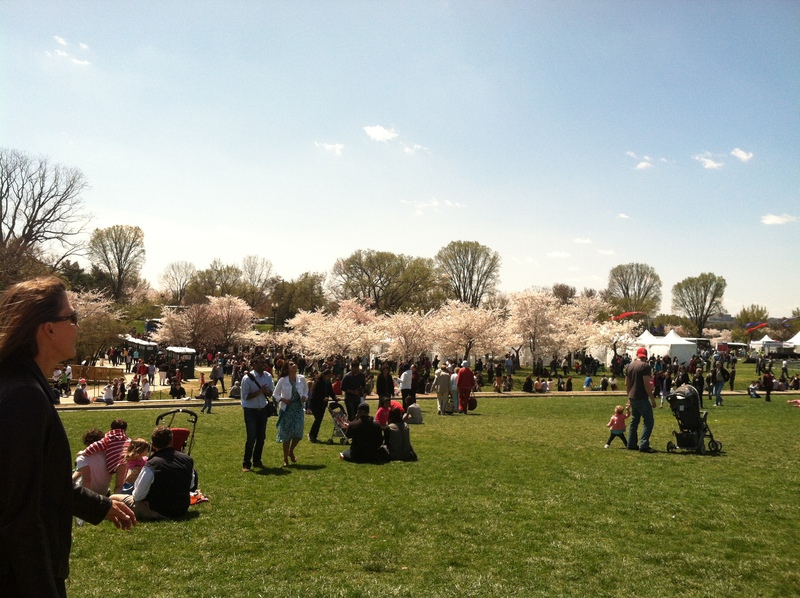 This entry was posted in American, American customs, DC, lifestyle, Travel and tagged America, American, Americans, Capitol, cherry blossoms, Culture, DC, expat, expat life, expats, guns, Japan, shooting DC, UK, USA, Washington. Bookmark the permalink. “1912 gift of 3,000 cherry trees…annual celebration honor the lasting friendship between the United States and Japan” – presumably they skipped a few years in the 1940s? That’s the problem of the United States: great beauty and open spaces, but then there are guns. Many of us try to pick places to live where there are the fewest guns and the gun laws are the strongest. That leaves out huge areas of the country. Luckily for you, you aren’t close to the most problematic areas. If only we could be more british in this respect. Glad you finally got to come see the blossoms Claire! Did you make it to the Japanese street fair? If not I can send you some pictures of typical stuff like the inflatable Godzillas there so you can experience vicariously:). You should visit Georgetown next time you go to Washington D.C.!